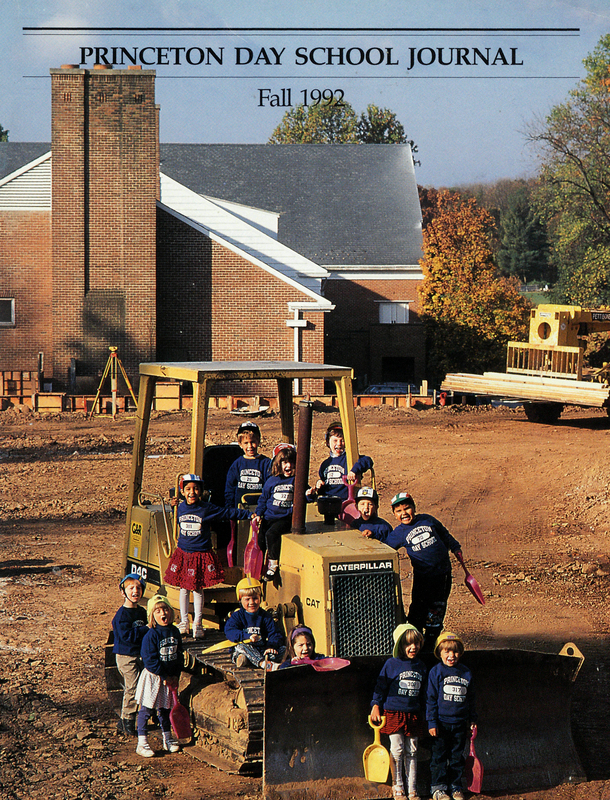 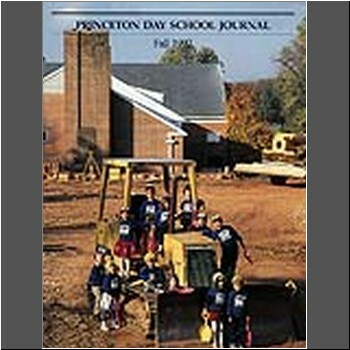 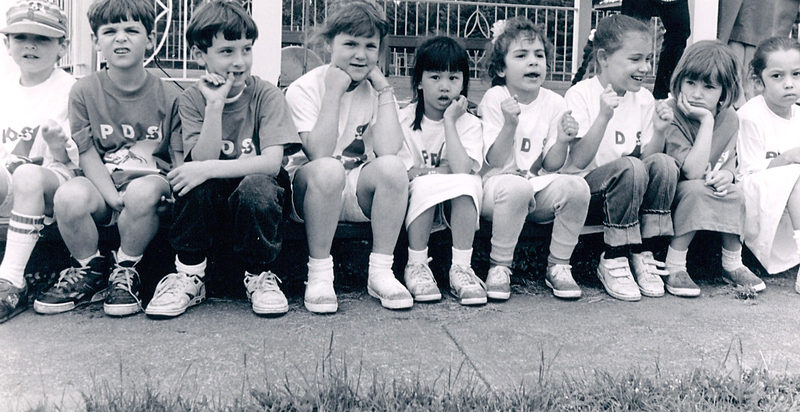 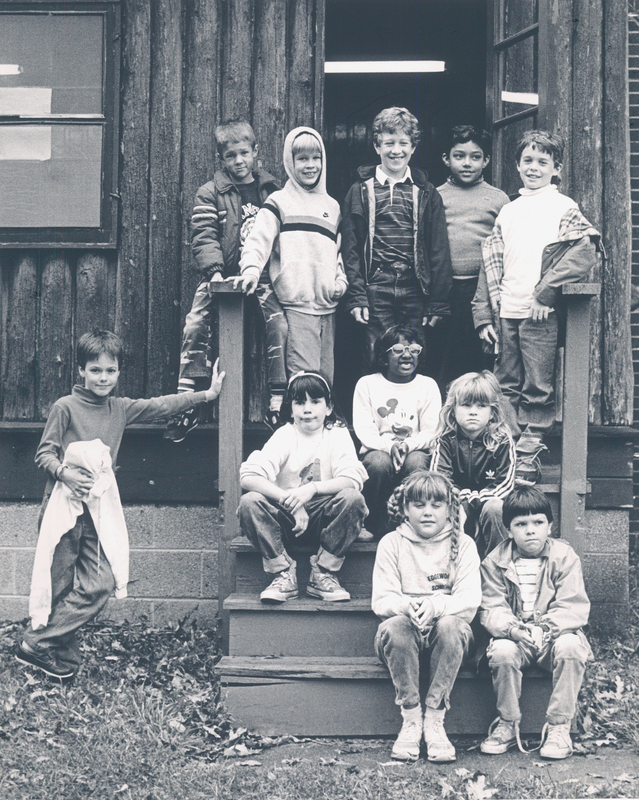 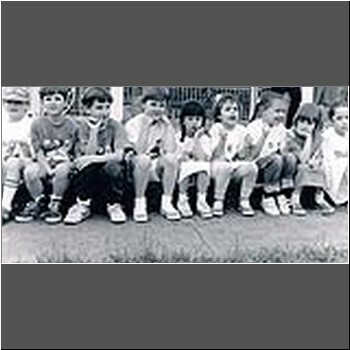 PDS 40 On September 17, 1992, exactly 27 years after PDS opened, members of the junior kindergarten class helped break ground for a new Lower School addition. 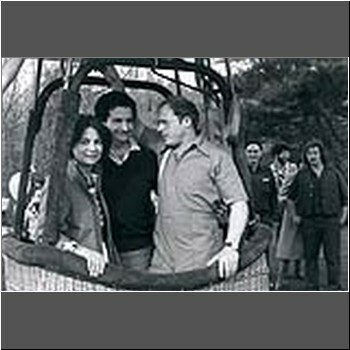 They are (clockwise from cab of bulldozer) David Gordon, Becky Gallagher, George Meredith-Carpeni, Zachary Fasola, Sanjeev Sharma, Charlie Hamlin, Lisa Dadian, Leslie Shapiro, Robin Webb, Phoebe Stockman, Ned Olson and Rita Inamdar. 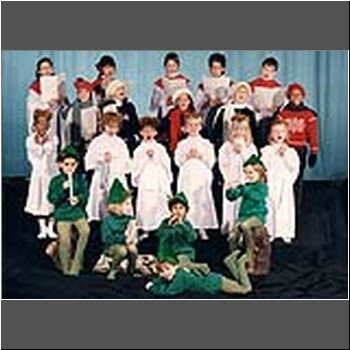 PDS 114 A December 1990 holiday card features (top row) Joanna Woodruff, Christine Flores, Lauren Welch, Matthew Hankin, Chris Gerry, (third row) Natalie Hamill, Lily Stockman, Lauren Sanders, Michael Maguire, John Fizer, (second row) Michael Reed, Jenna Makrancy, Ben Newton, Derek Chase, Emily Starkey, Corrine Johnson, (first row) Zak Atiram, Molly Jamieson, Rajeev Sharma, Carly Berger, (laying down) John McCarthy. 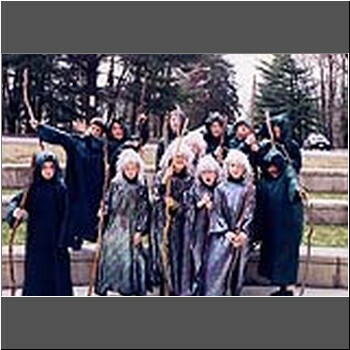 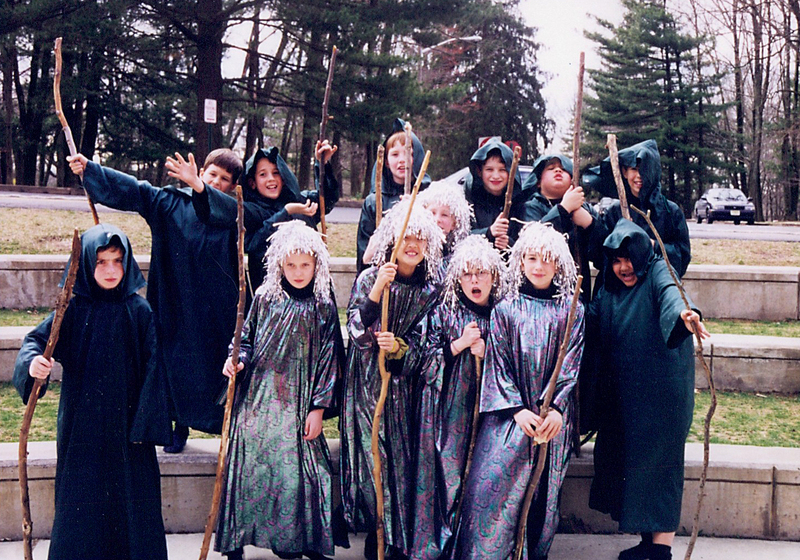 PDS 115 In 1999, sixth graders from the Class of 2006 get into the spirit of the annual Medieval Day festivities. 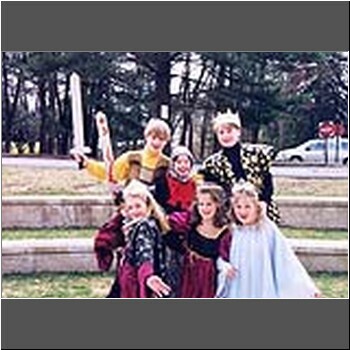 PDS 116 Sixth graders from the future Class of 2006 enjoy a taste of Medieval life. 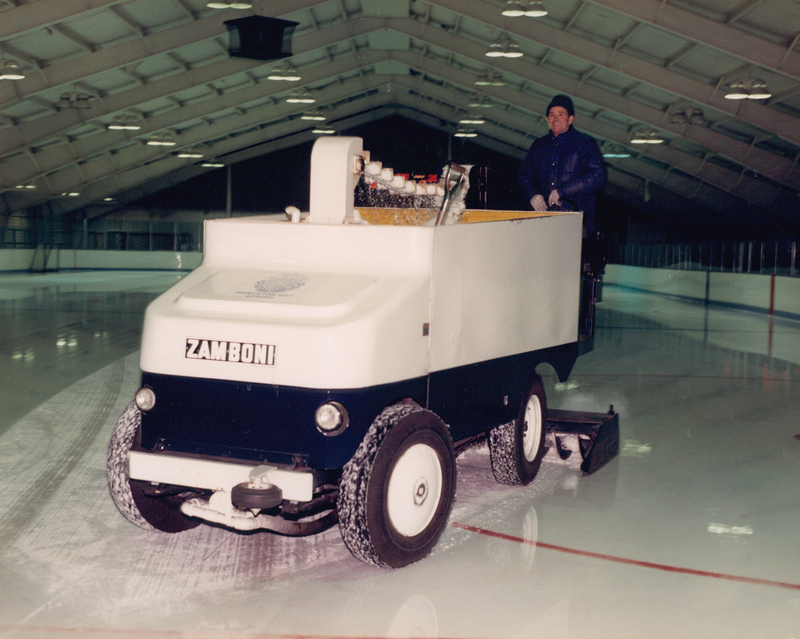 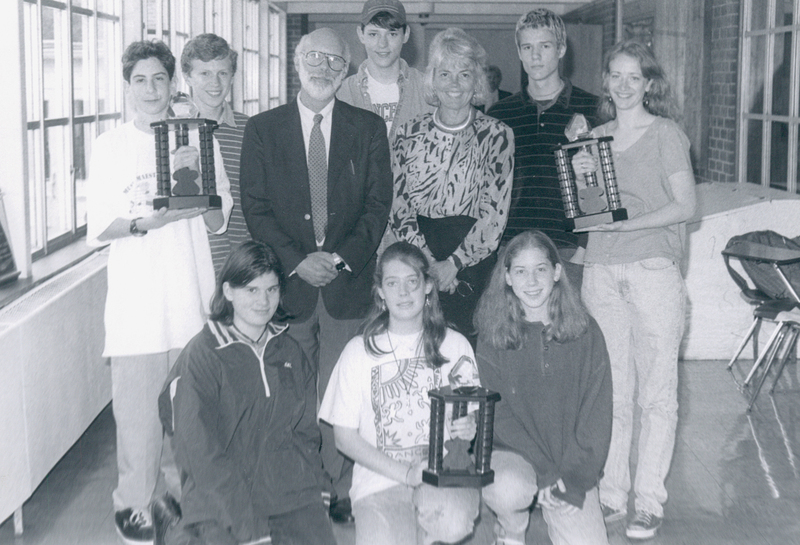 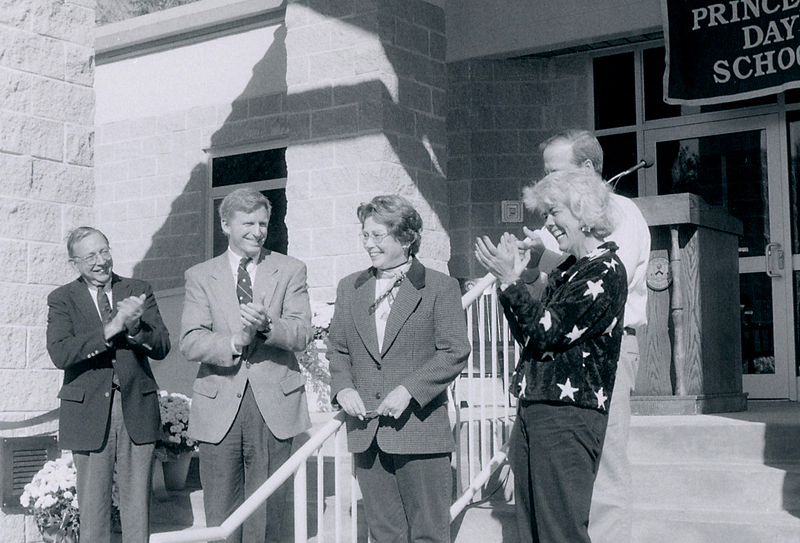 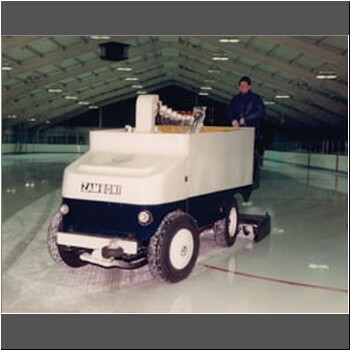 PDS 117 In 1997, Lisa McGraw Webster '44 (third from left) opened the new rink that was named in her honor. 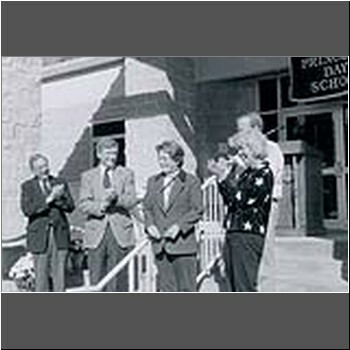 With her at the dedication are Religion Teacher Carl Reimers, Trustee Bob Stockman, Head of School Lila Lohr and (hidden) Board Chair Dan Graziano. 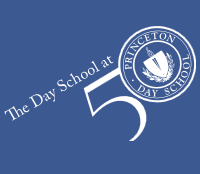 PDS 118 Twenty-five years after PDS opened its doors for the first time, the entire school gathered in the upper gym for birthday cake and a certificate from the mayor of Princeton. 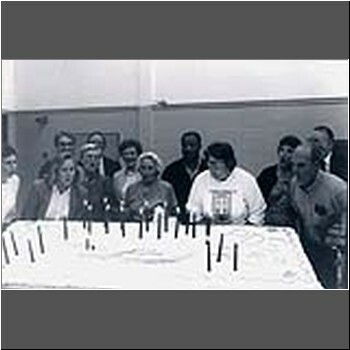 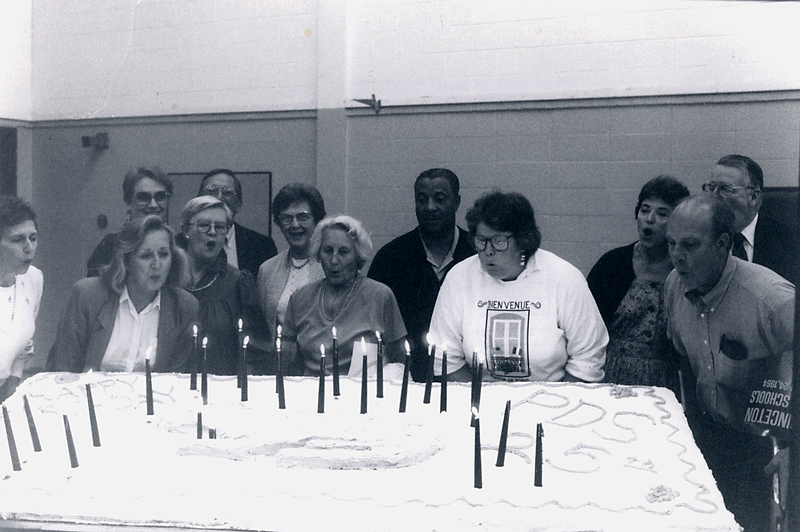 The candles were blown out by current PDS teachers and staff who were present on that first day, as teachers or students: (from left) Pat Osander, Arlene Smith, Marge Whalen, Beverly Williams, Carl Reimers, Mickey Meyers Shriver MFS '46, Anne Shepherd, Willie Wade, Ann Wiley PDS '70, Alison Shehadi, Bob Whitlock, Harry Rulon-Miller PCD '51. 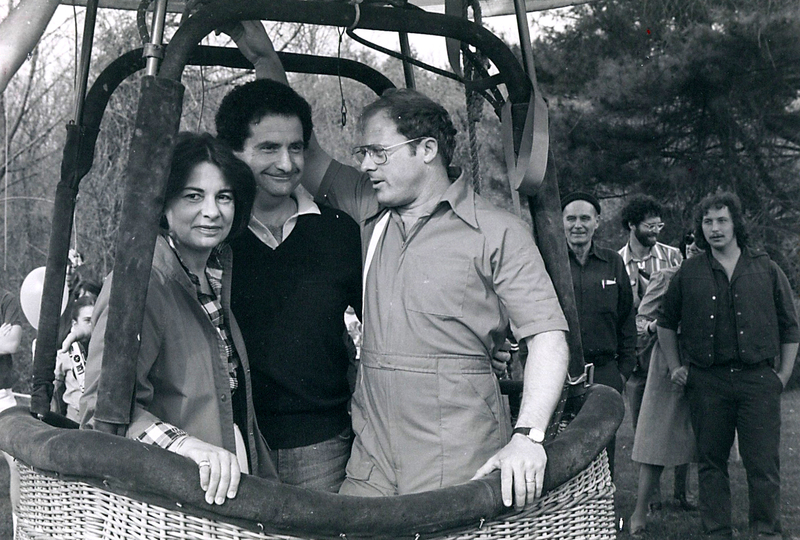 PDS 119 PDS Parent Bob Waligunda (right) piloted his hot air balloon at several Balloon Days and often carried retiring teachers as passengers. 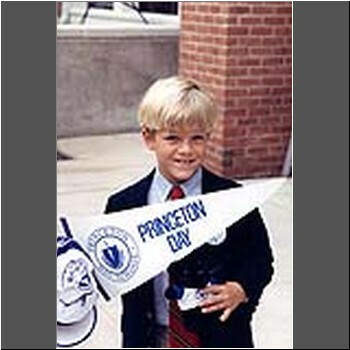 He is joined here by Lower School Head Sara Schwiebert and Upper School Head Sandy Bing. 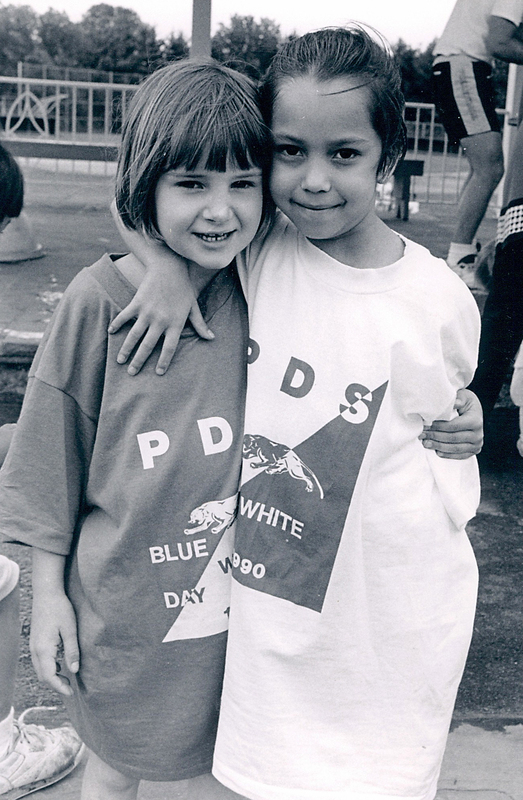 PDS 120 These lower schoolers prove that Blue/White rivalry does not interfere with friendships. 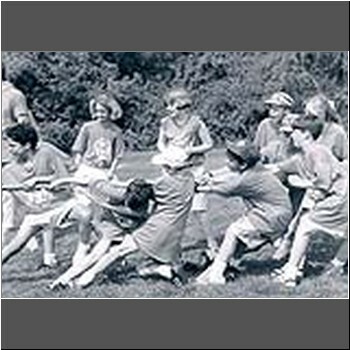 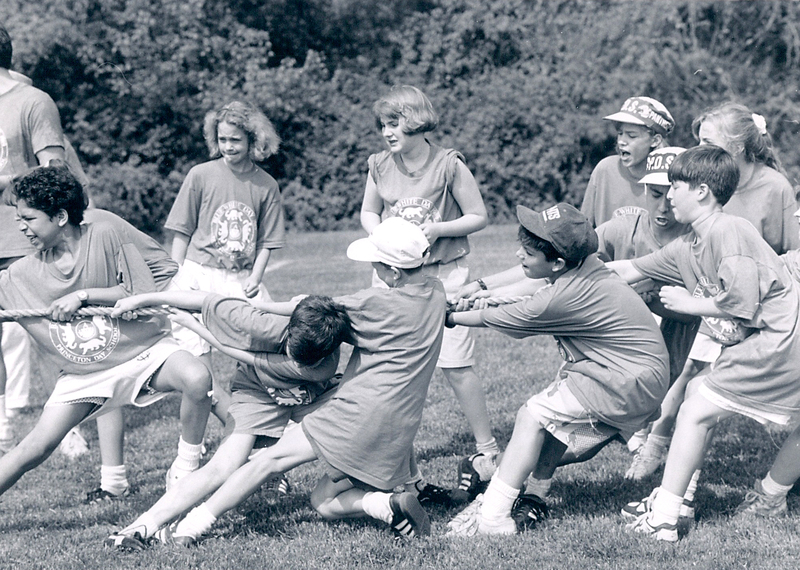 PDS 121 The Blue Team puts its all into a tug of war c. 1992. 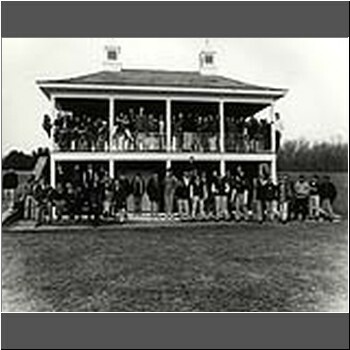 PDS 129 The Class of 1996 gathers at the Pagoda. 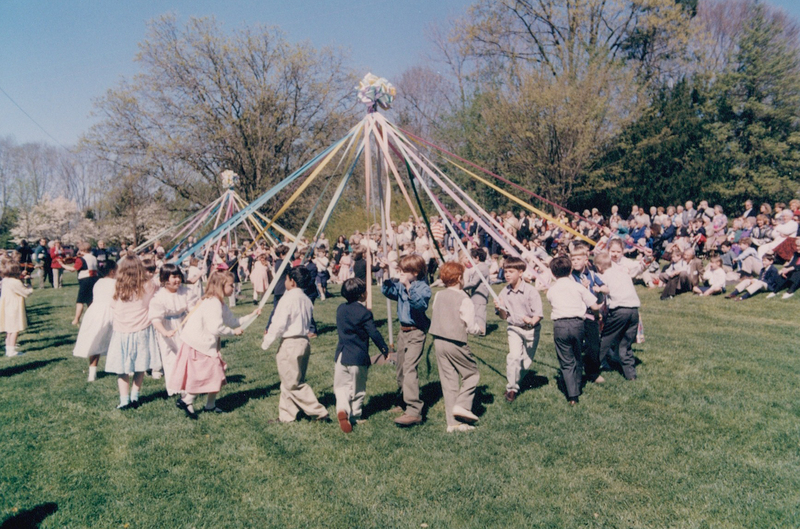 PDS 141 The Maypole Dance was the highlight of this 1997 Grandparents and Special Friends Day. 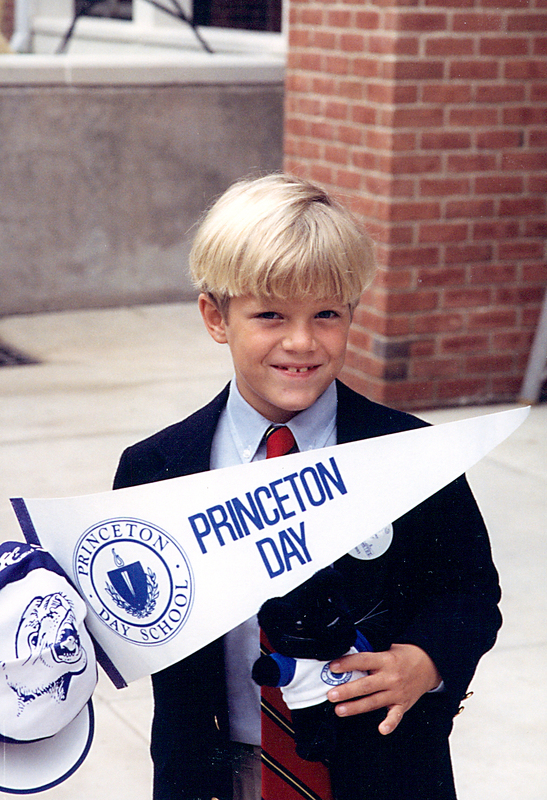 PDS 142 Zachary Claudio '04 shows off memorabilia to be placed in the Lower School cornerstone in 1993. 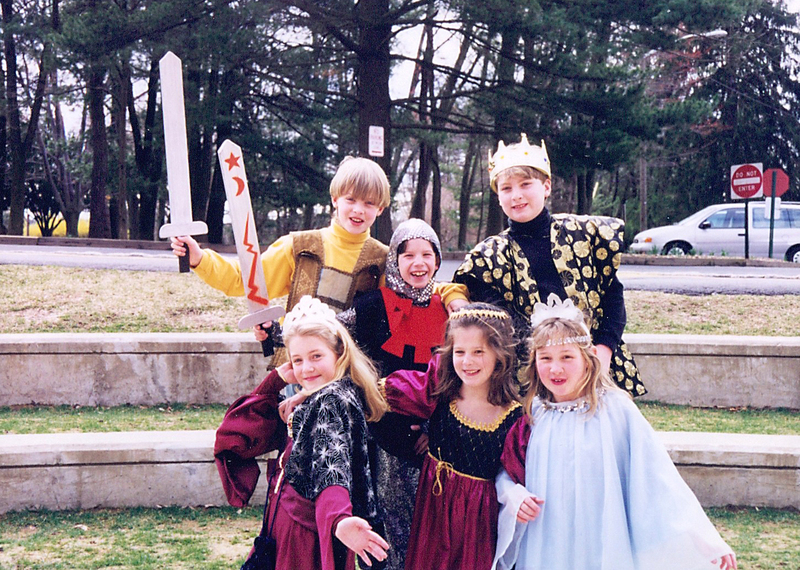 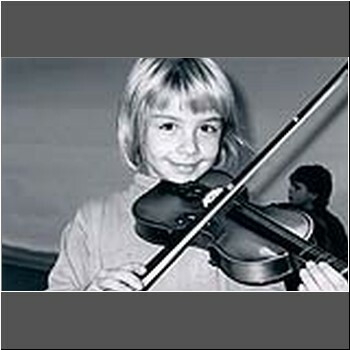 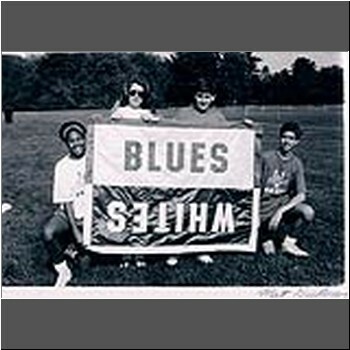 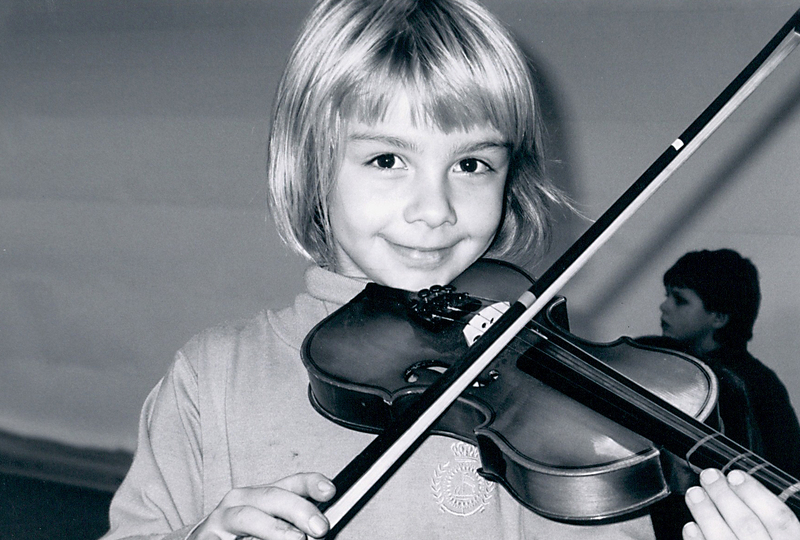 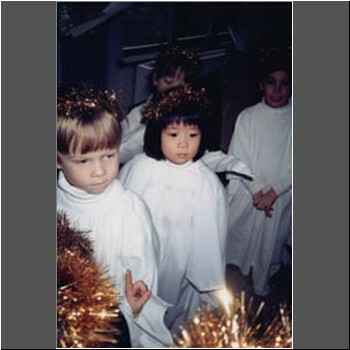 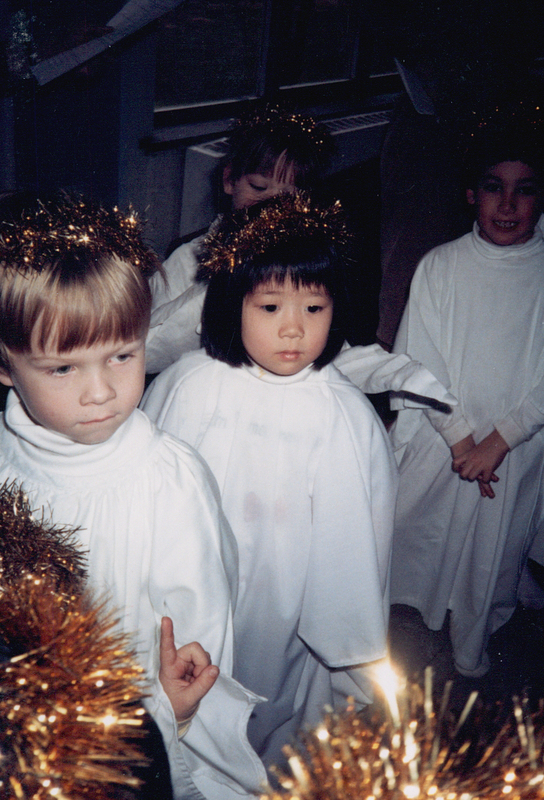 PDS 145 Head of School Lila Lohr entertains kindergartners Jake Felton '09 and Callie Bird '09 in 1997. 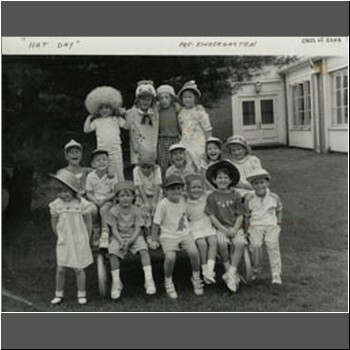 PDS 146 Hat Day is one of junior kindergarten's most anticipated events. 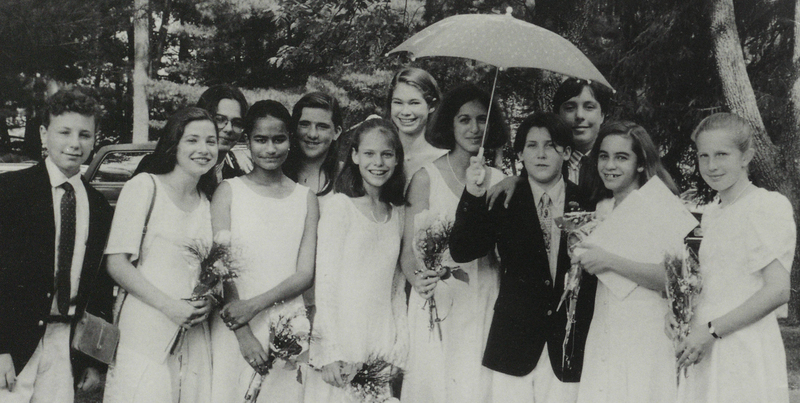 Millinery magic is created here by the Class of 2003. 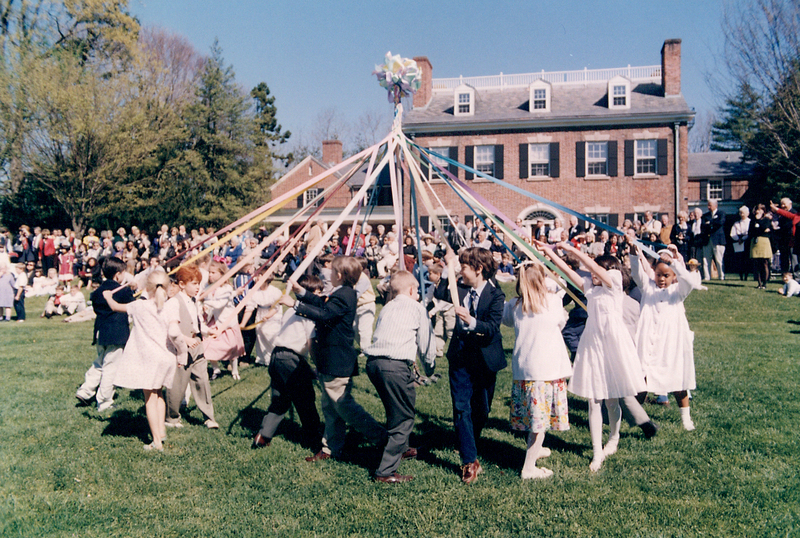 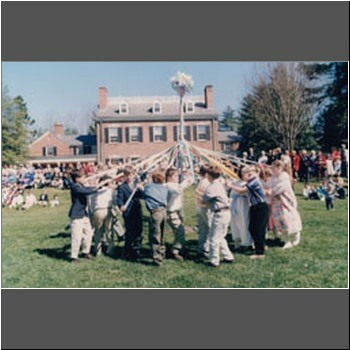 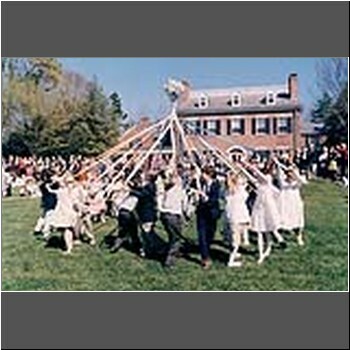 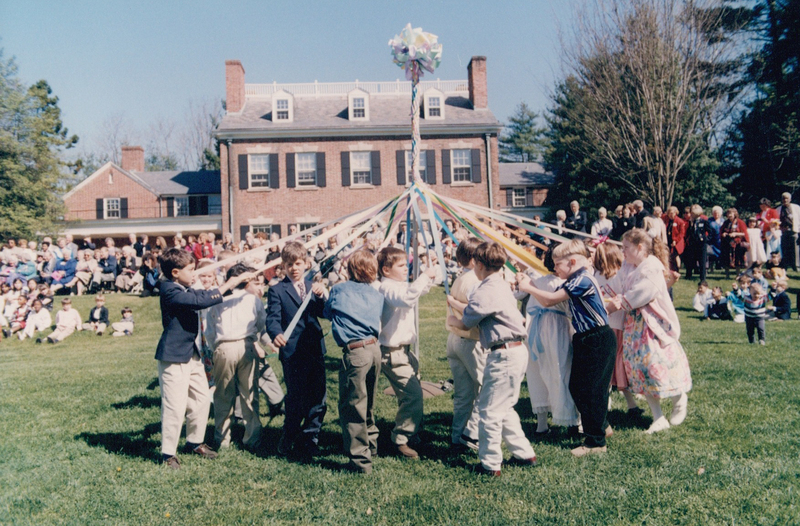 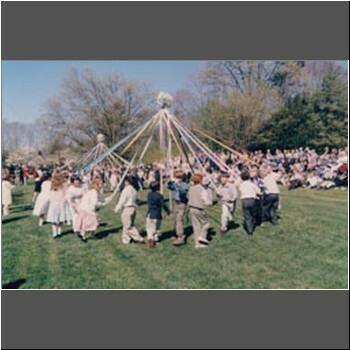 PDS 194 Second graders continue the MFS tradition of the Maypole Dance at Grandparents and Special Friends Day. 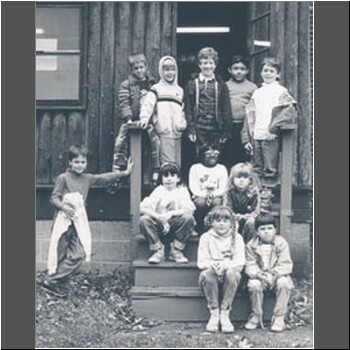 PDS 196 Second and third graders spend an overnight at the experiential camp in Blairstown. 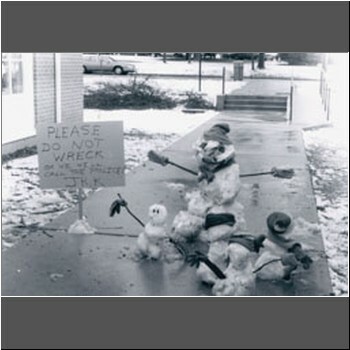 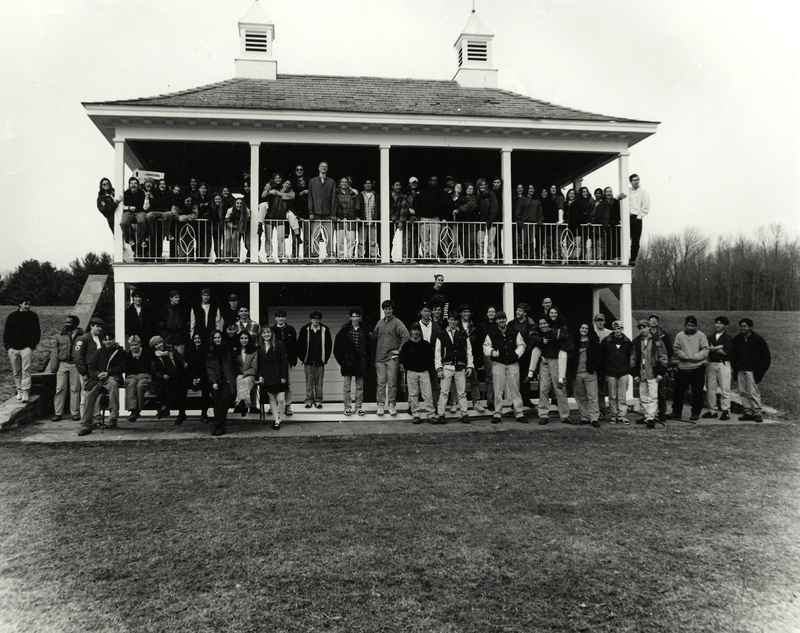 In 1990, they gathered on their cabin steps. 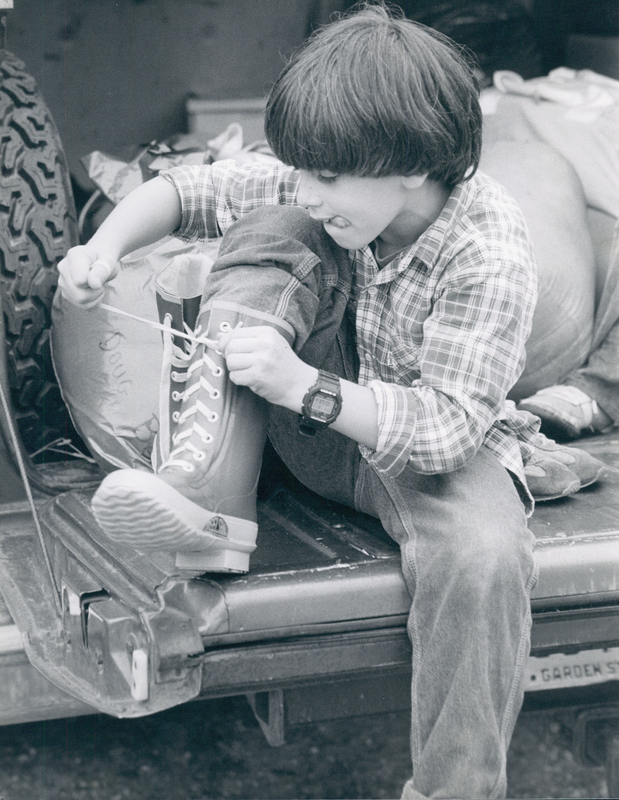 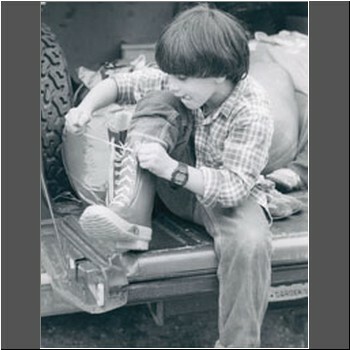 PDS 197 A lower schooler laces up after skating, 1994. 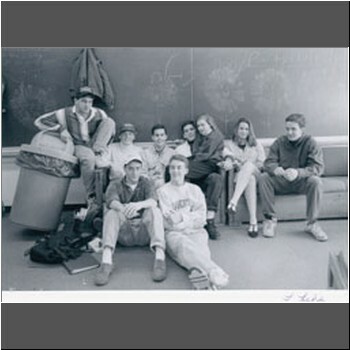 PDS 198 Members of the Class of 1994 take a break between classes in 1992. 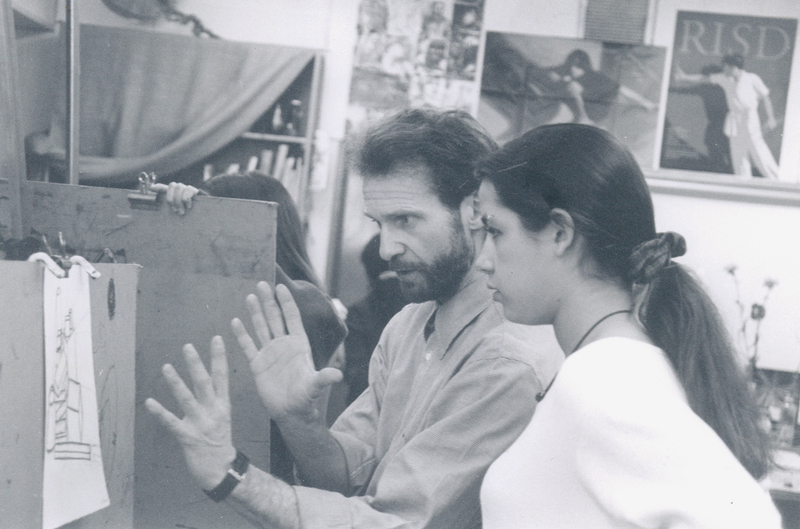 PDS 199 Fine Arts Department Head Jerry Hirniak critiques a drawing, 1995. 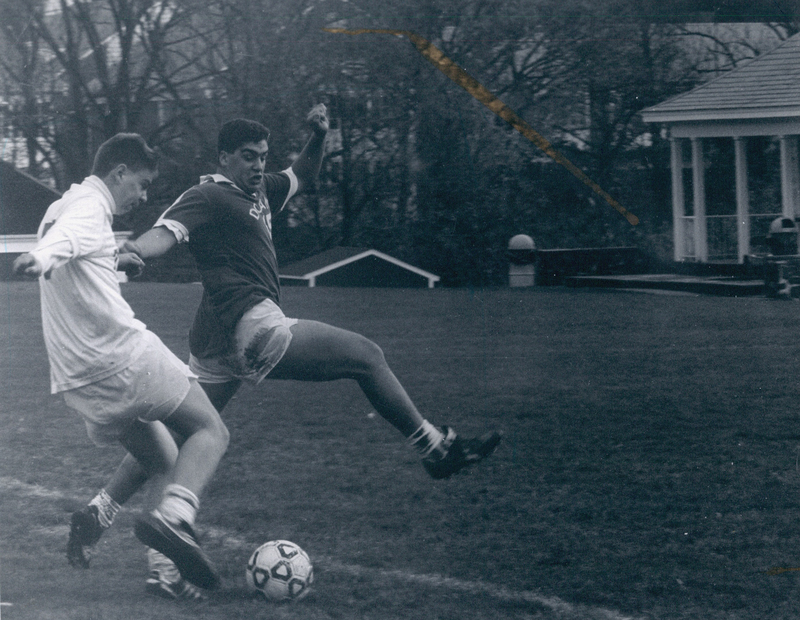 PDS 200 The Pagoda Field was the scene of this hard-fought soccer game in the 1990s. 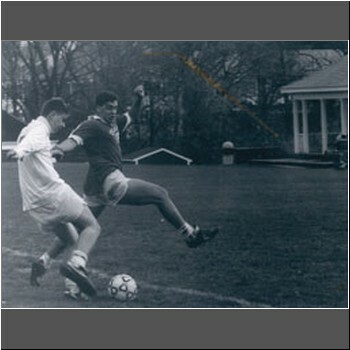 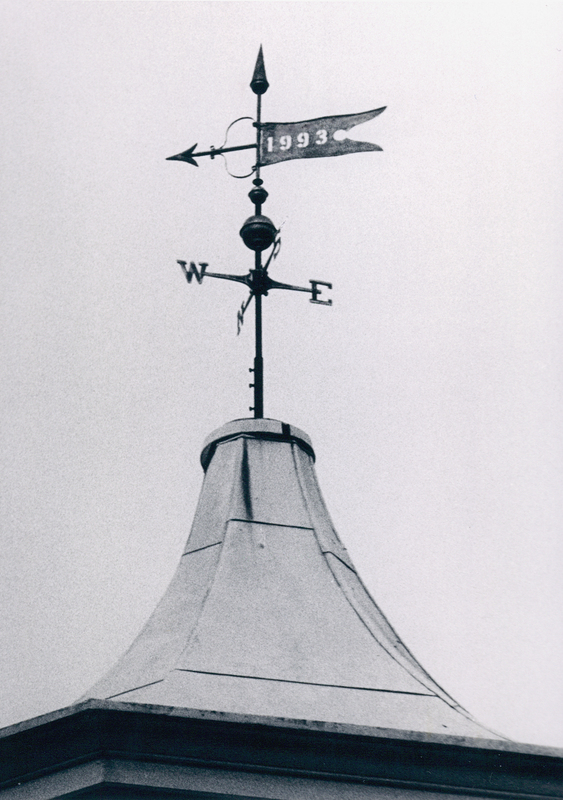 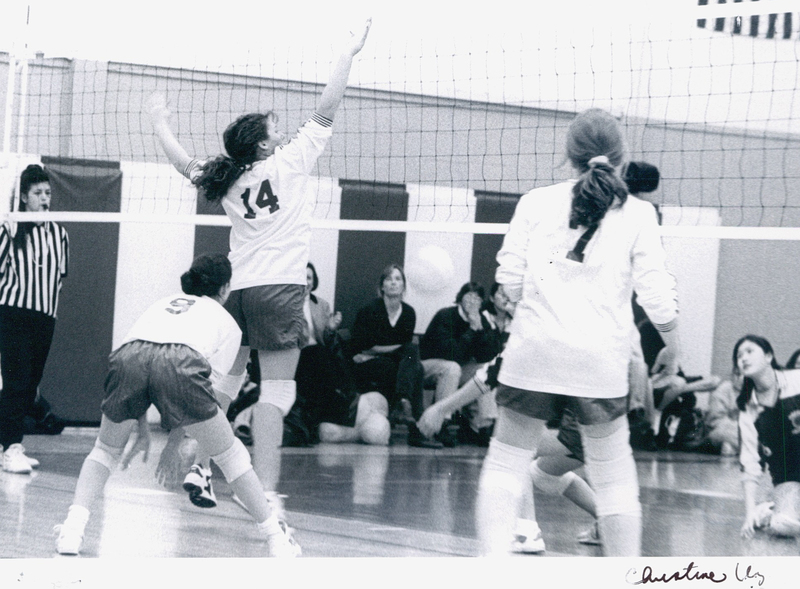 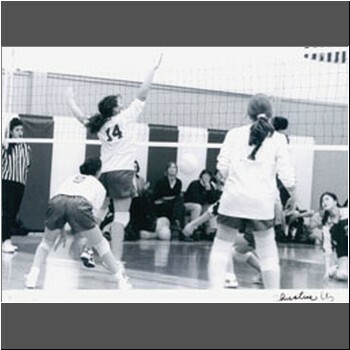 In 2001, the field was renamed in memory of Bill Smoyer PCD '60. 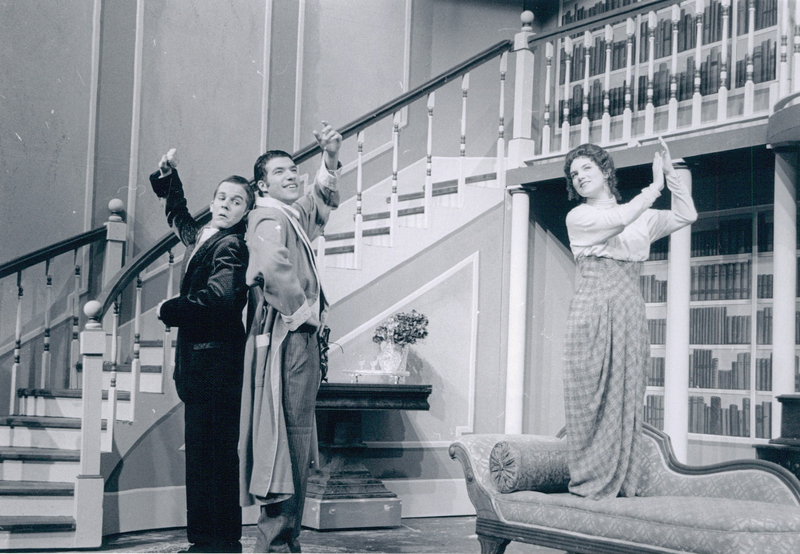 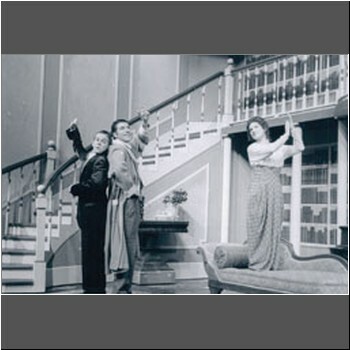 PDS 201 The 1998 production of My Fair Lady starring Chris Conley '98, Jeff Kurtz '98 and Megan Hart '98. 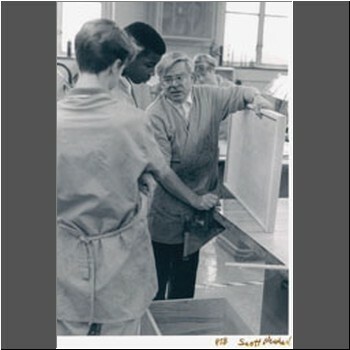 PDS 202 Industrial Arts Teacher Andy Franz examines student work. 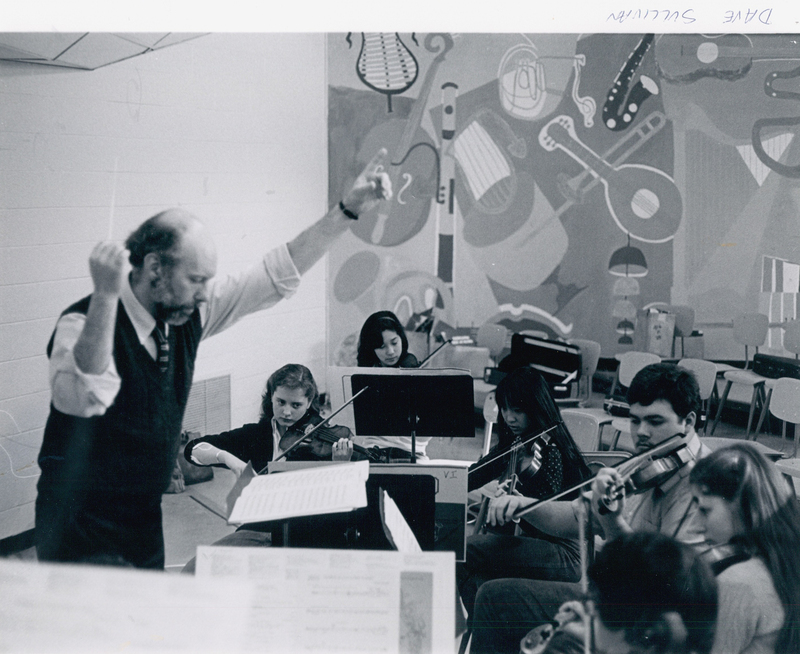 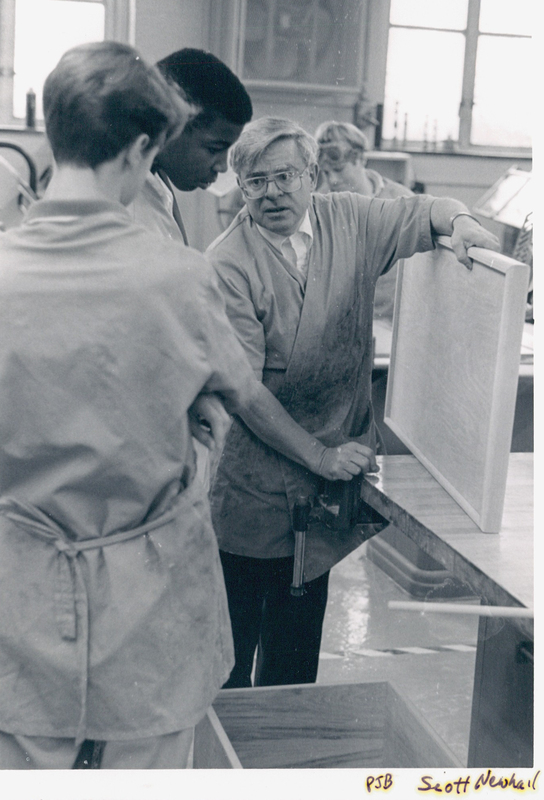 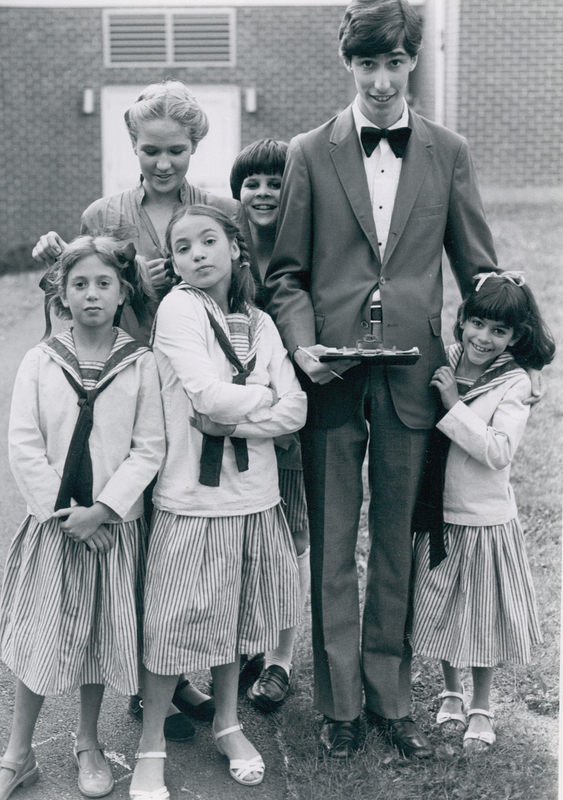 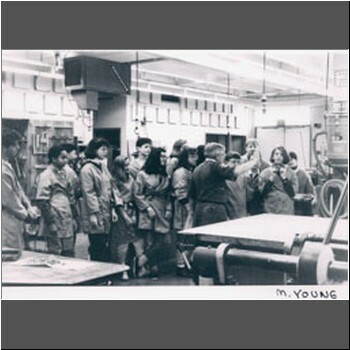 PDS 203 Industrial Arts Teacher Andy Franz directs Middle School students, 1991. 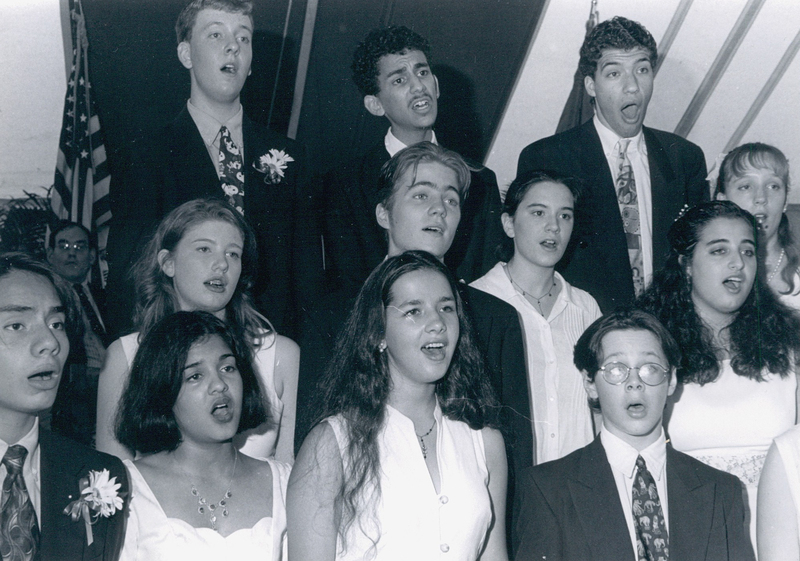 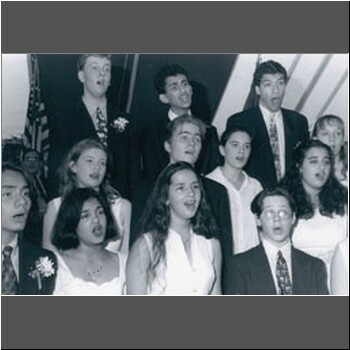 PDS 206 Madrigals perform at Commencement c. 1996. 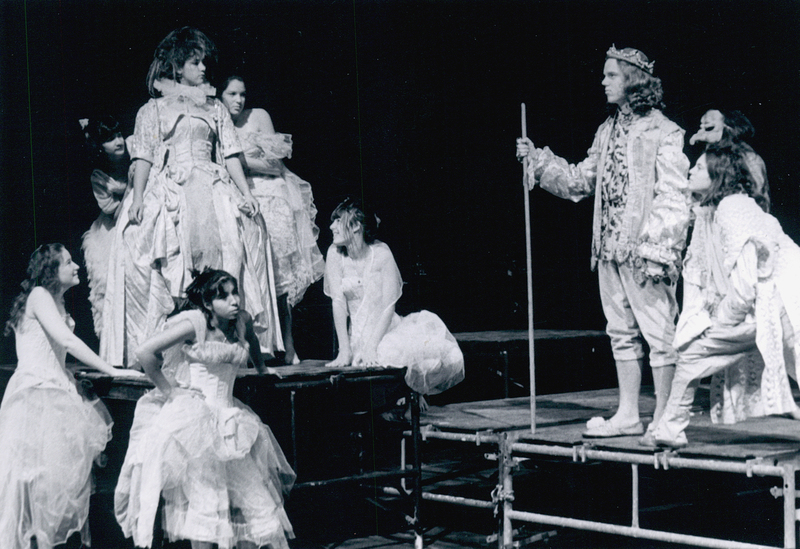 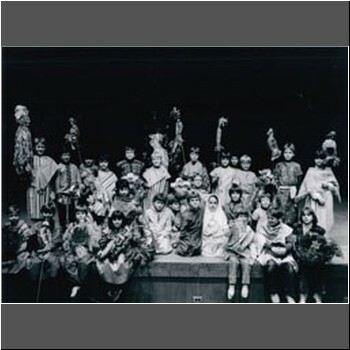 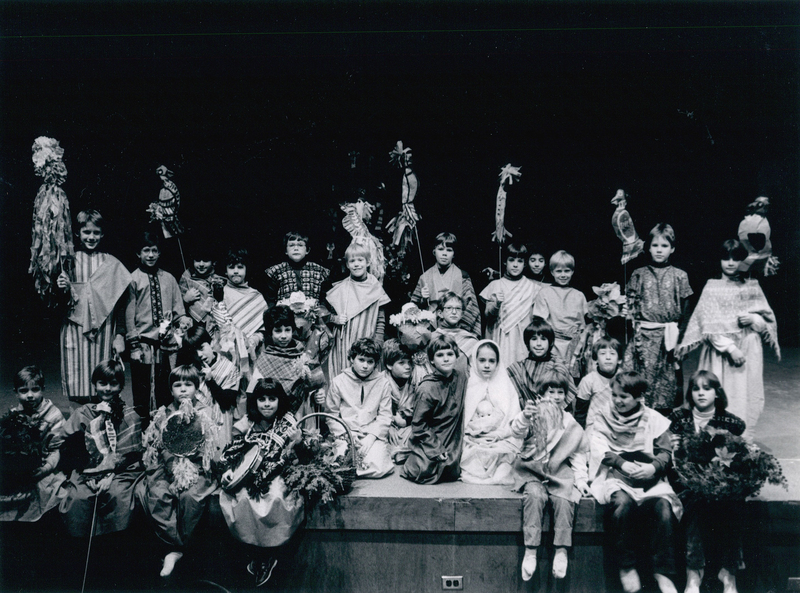 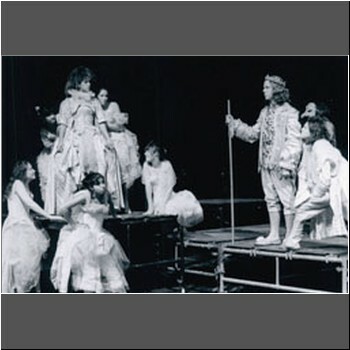 PDS 208 A 1993 production of A Midsummer Night's Dream. 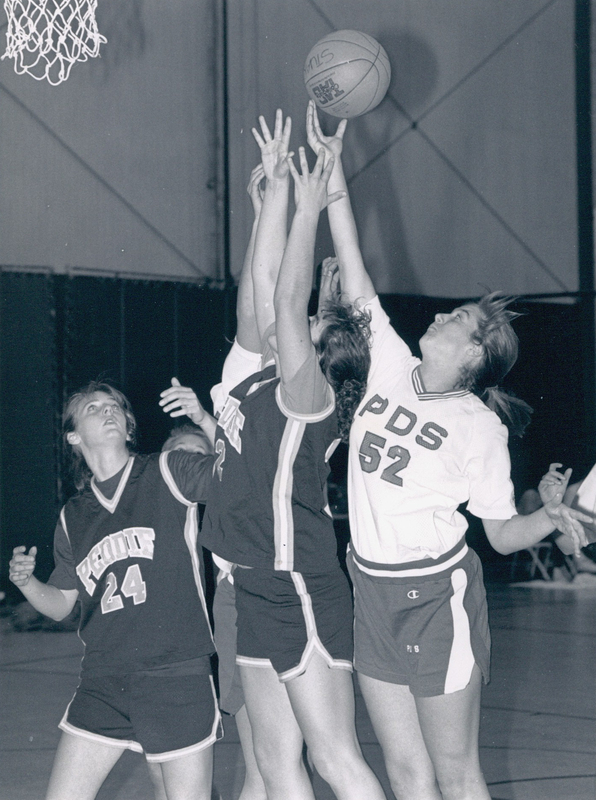 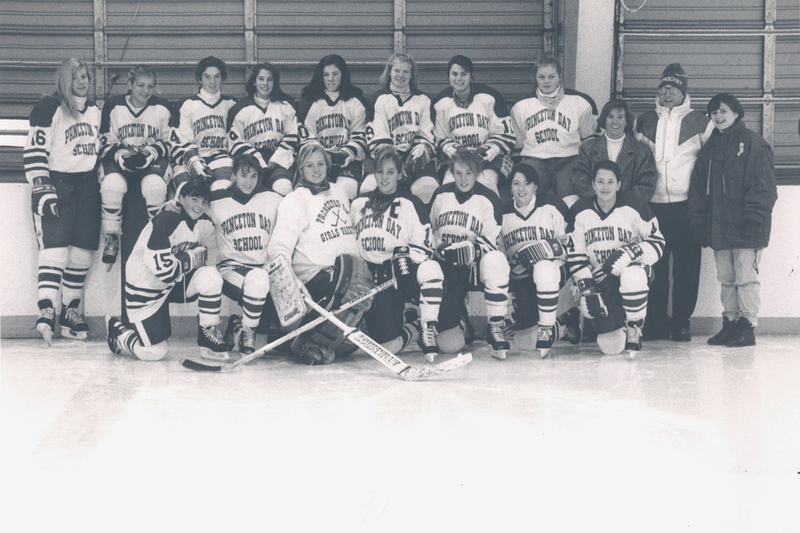 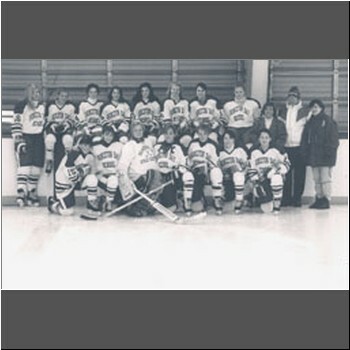 PDS 209 An early 1990s girls ice hockey team with coaches Kelly Noonan '86 and Jennie Cook. 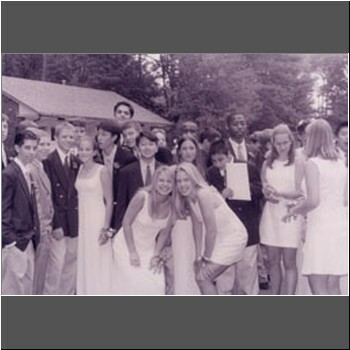 PDS 212 A gathering of eighth grade graduates. 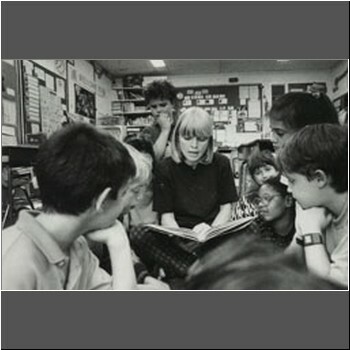 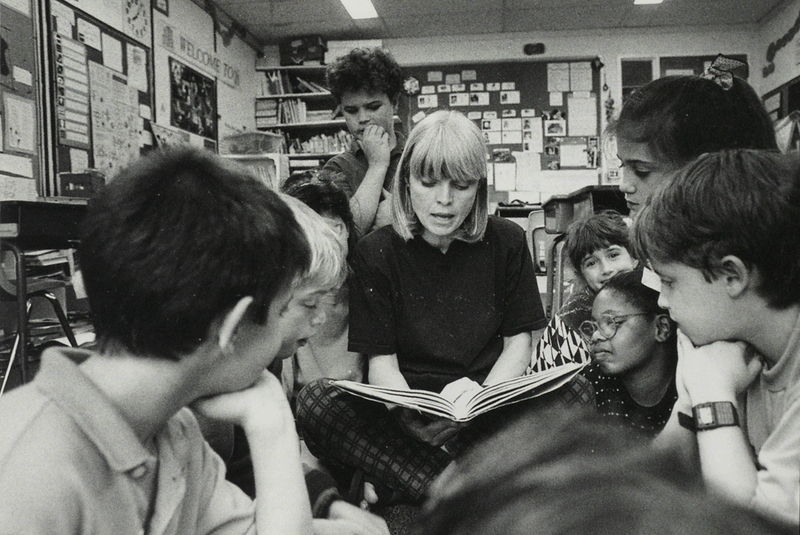 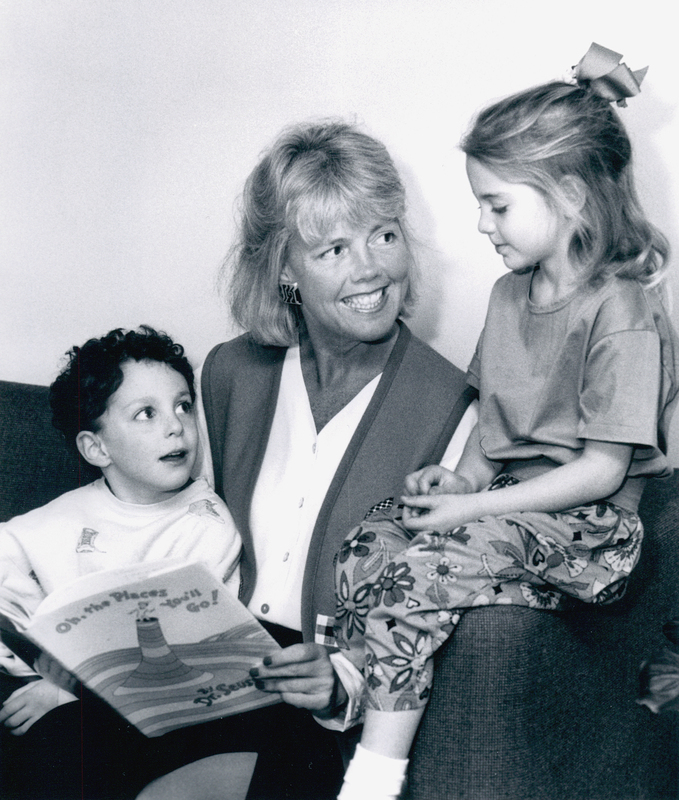 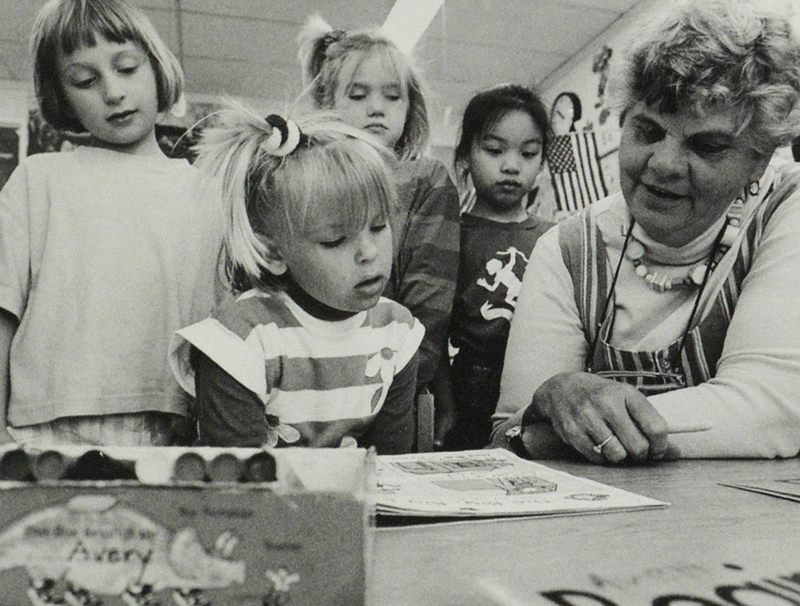 PDS 222 Lower School Teacher Dottie Finnerty captivates students with a story, 1992. 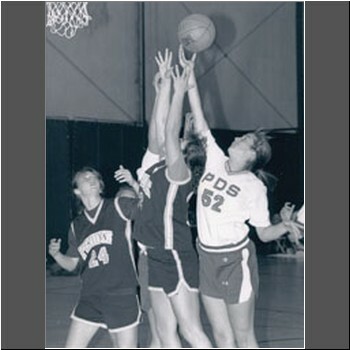 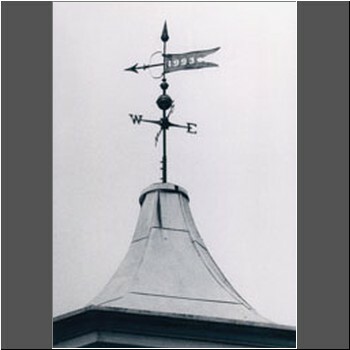 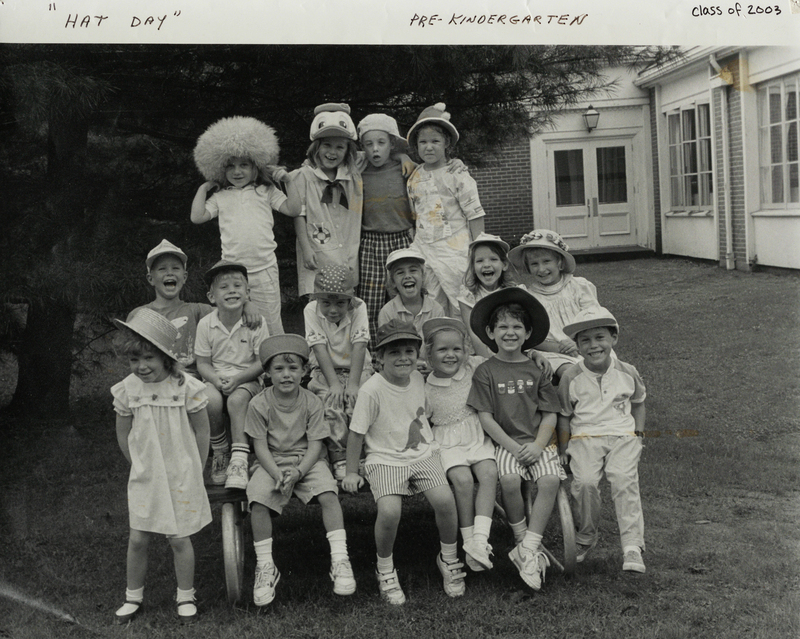 PDS 223 (Nancy Miller graduated from MFS in 1958 and taught Lower School at PDS for 33 years. 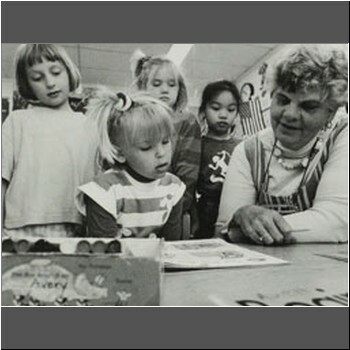 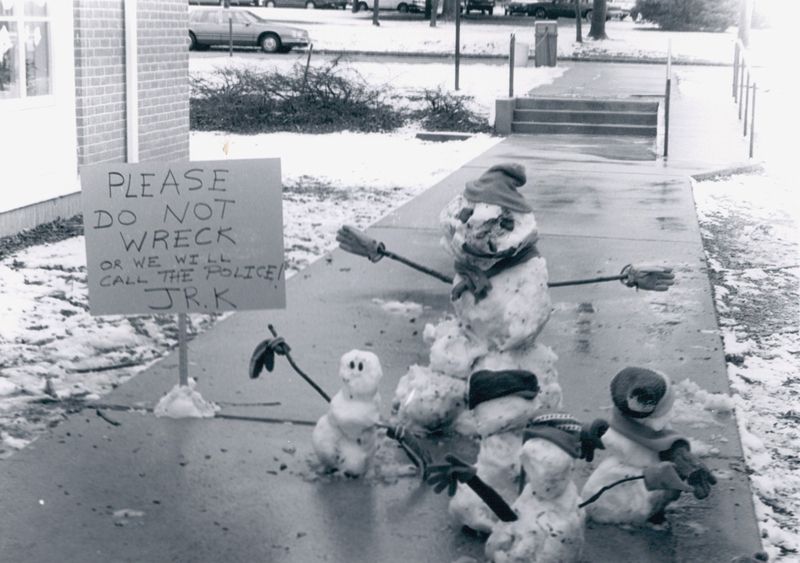 Here, she passes on her knowledge to a 1991 class. 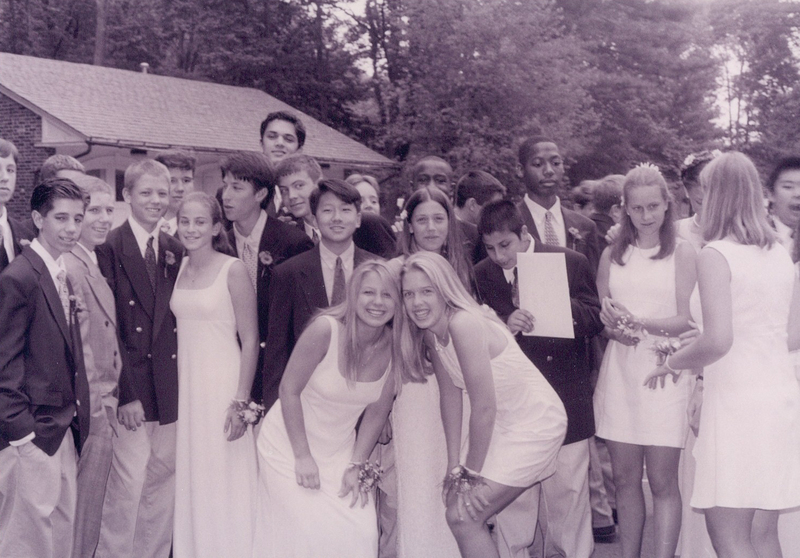 PDS 224 Celebrating their 1994 graduation from Middle School are members of the Class of 1998. 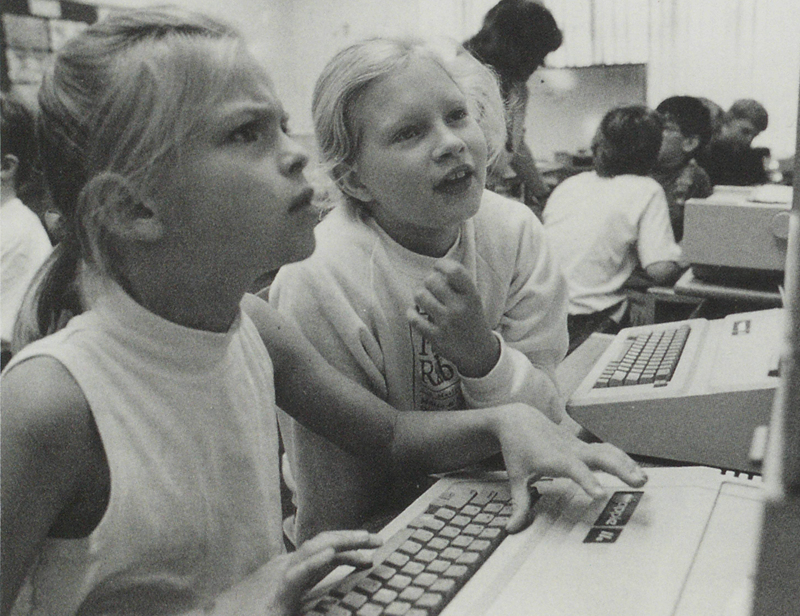 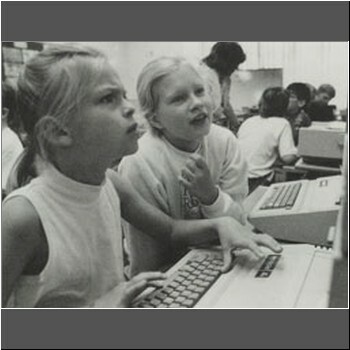 PDS 225 Lower School students explore the computer in 1993. 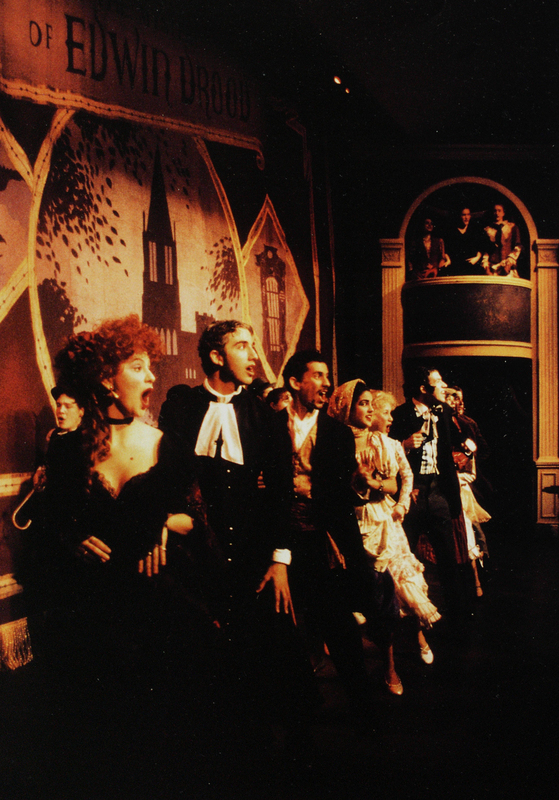 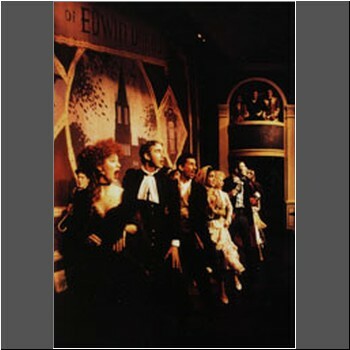 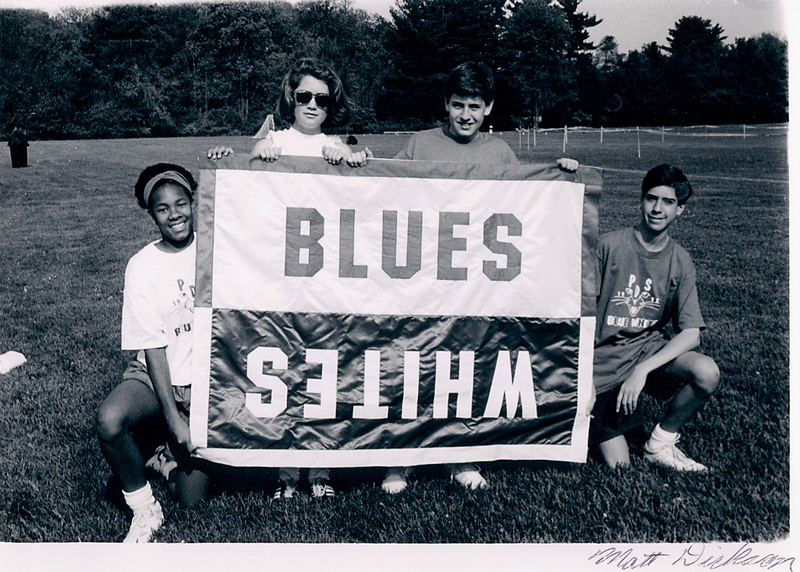 PDS 226 Unraveling The Mystery of Edwin Drood in this 1997 spring musical are Vanessa LoFranco '97, Phil DeGisi '98, Josh Goldston '97, Mitali Routh '97, Julie Hathaway '97 and Jeff Kurtz '98. 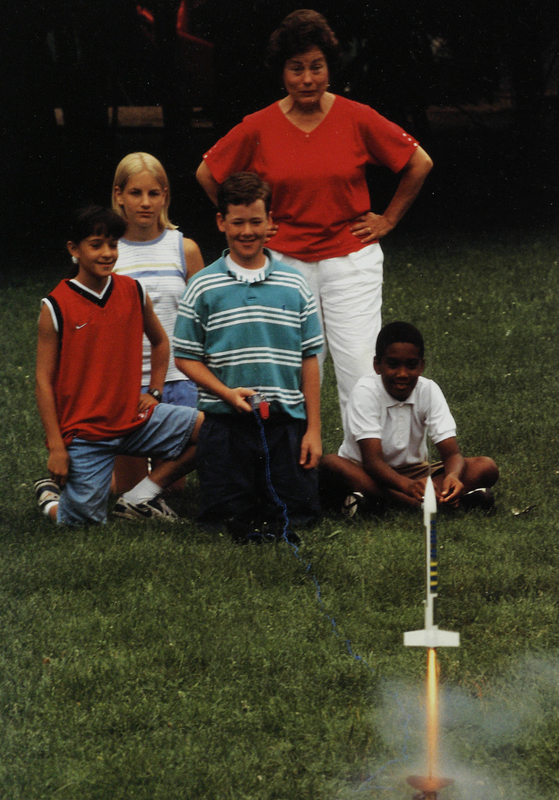 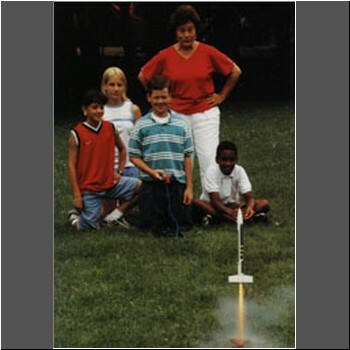 PDS 227 In one of the highlights of Middle School science study, students design and set off rockets. 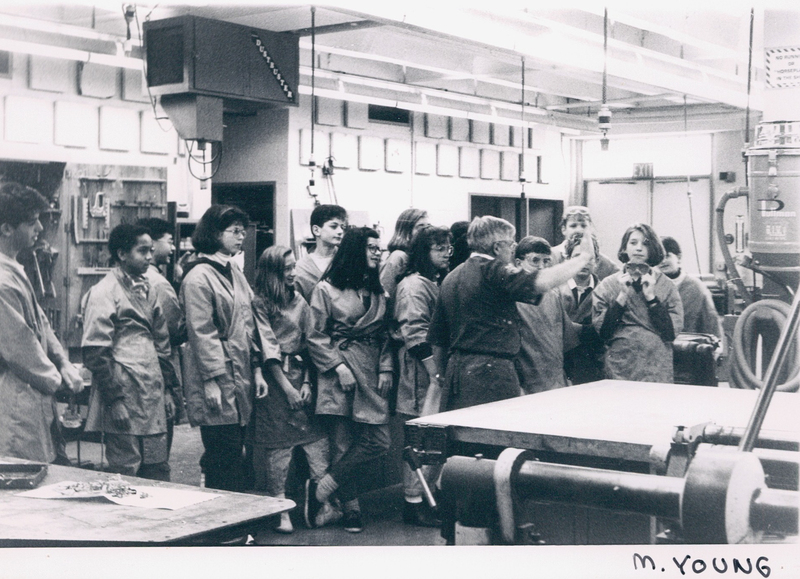 Here, Middle School Science Teacher Barbara vonMayrhauser oversees the experiment. 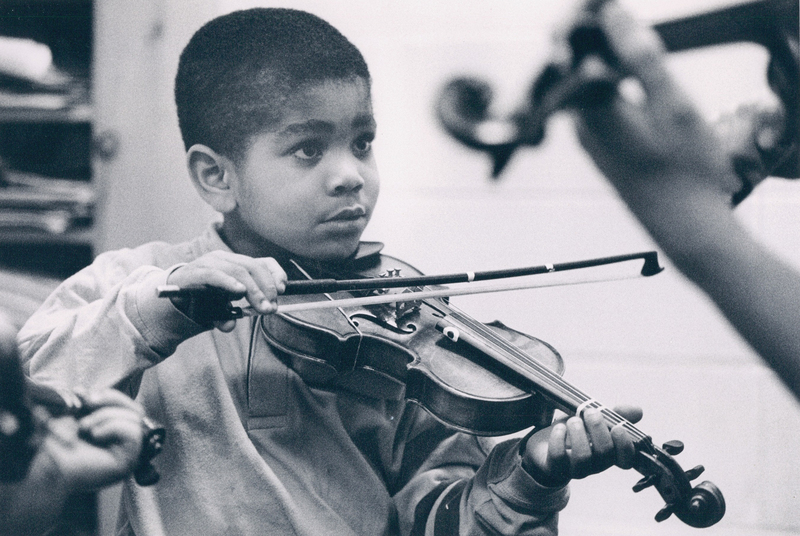 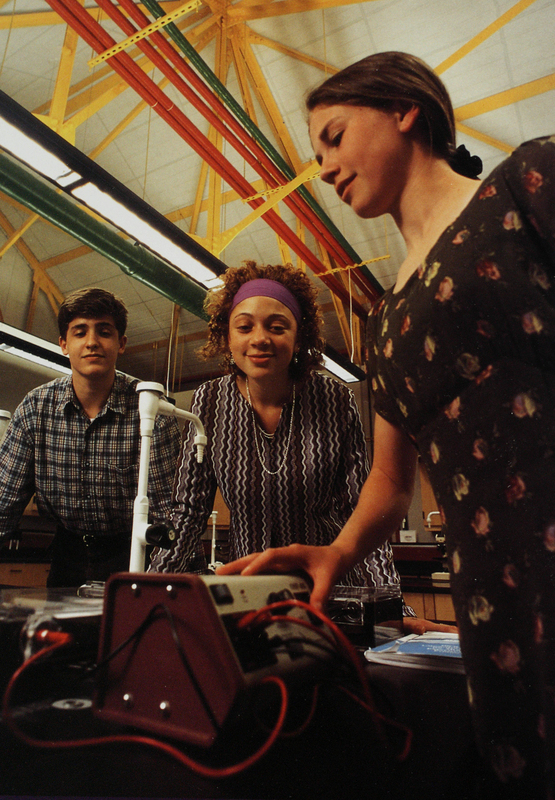 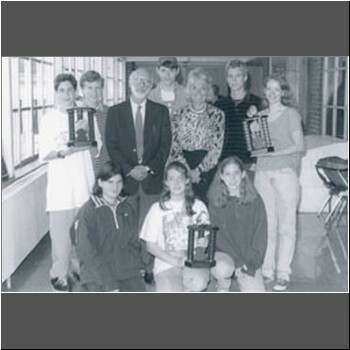 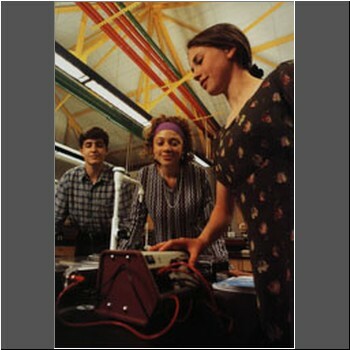 PDS 228 Students enjoy the newly renovated science wing, 1999. 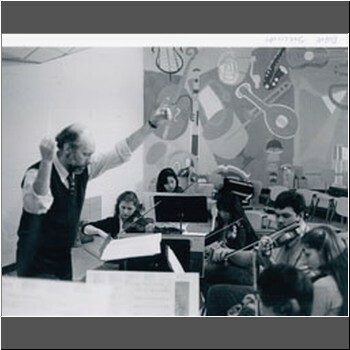 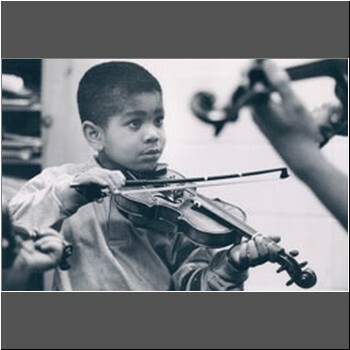 PDS 258 Music Department Head Frank Jacobson directs the violin section. 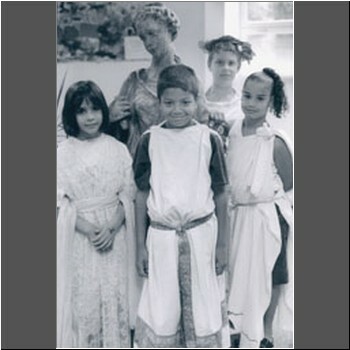 PDS 261 Future Class of 2005 middle schoolers Matt Sandy, Christina Duncan and Yasmin Malhotra show off their Greek garb c. 1996. 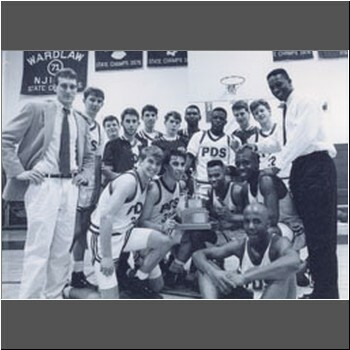 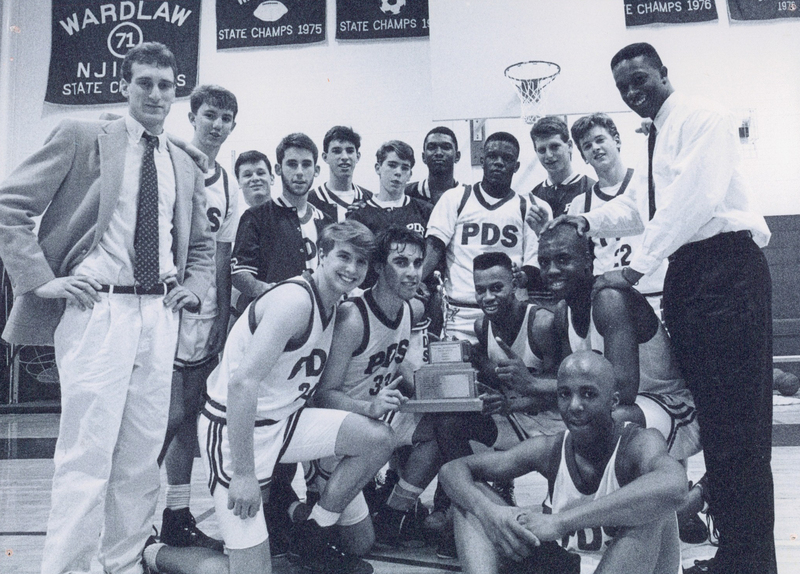 PDS 264 Coaches David First (left) and his boys basketball team celebrate one of several state championships PDS won in the 1990s. 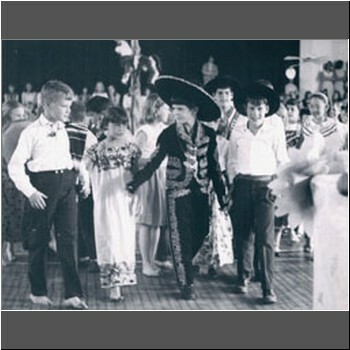 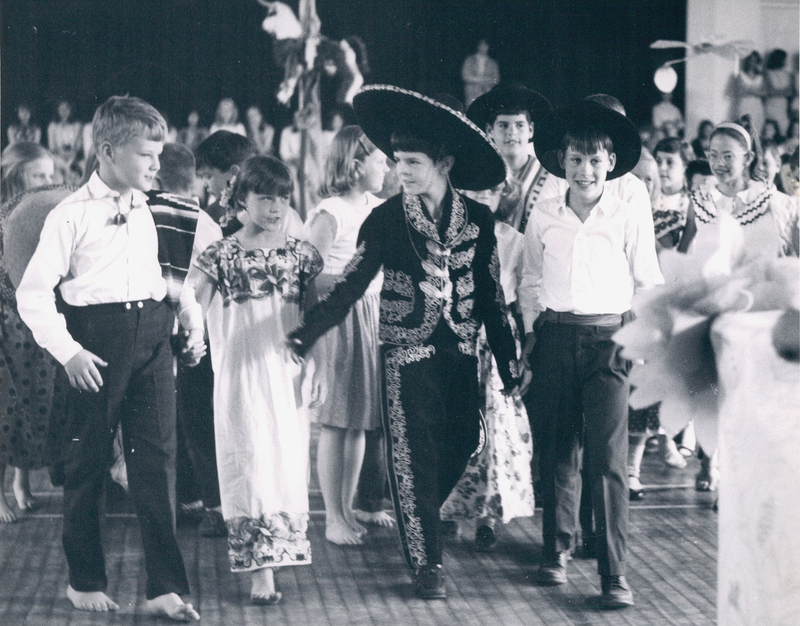 PDS 267 Lower schoolers bring a bit of Mexico to their holiday program. 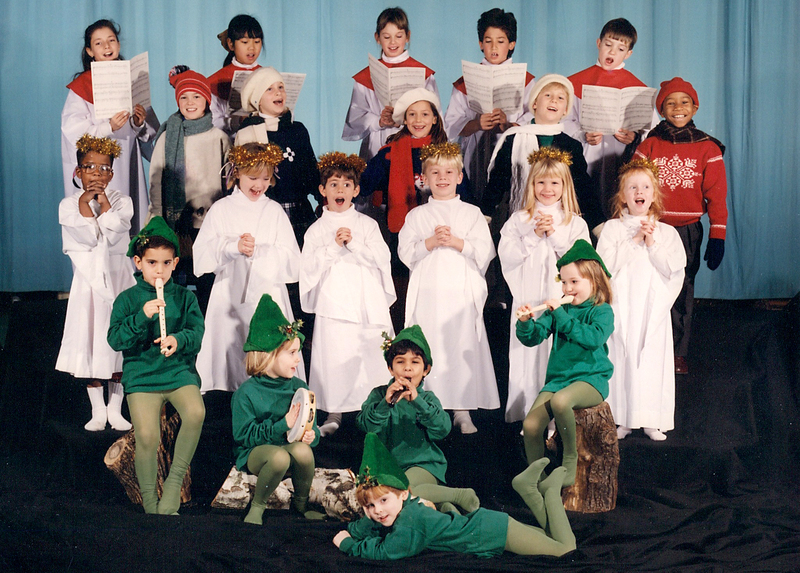 PDS 268 Lavish costumes enhanced this Lower School holiday program. 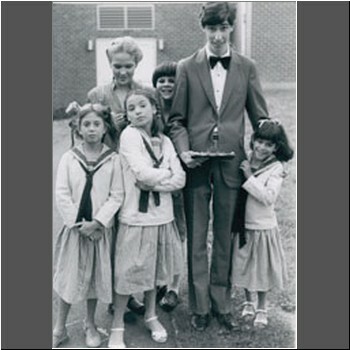 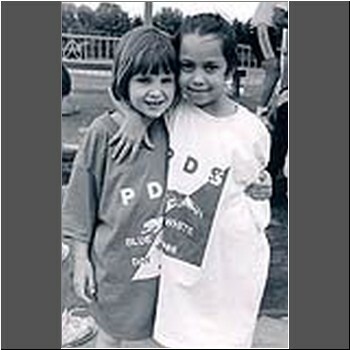 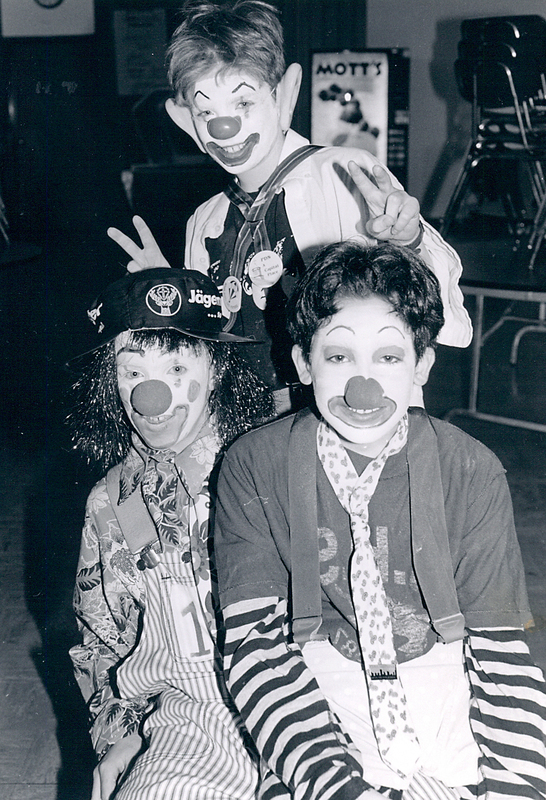 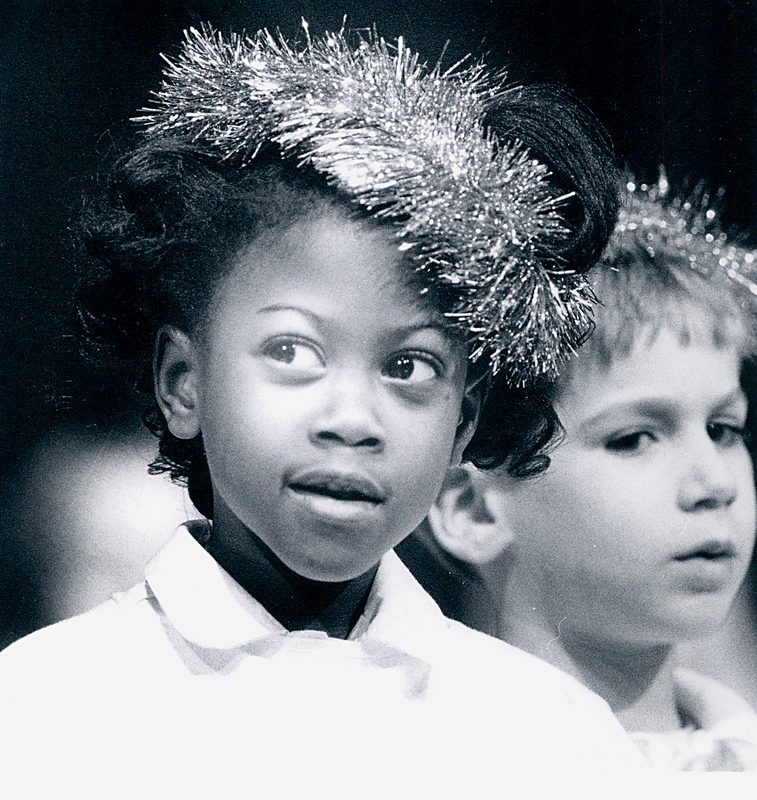 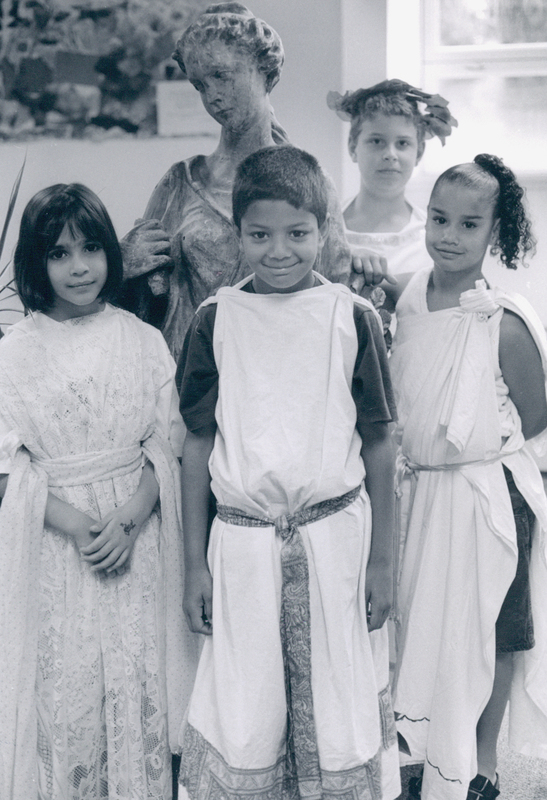 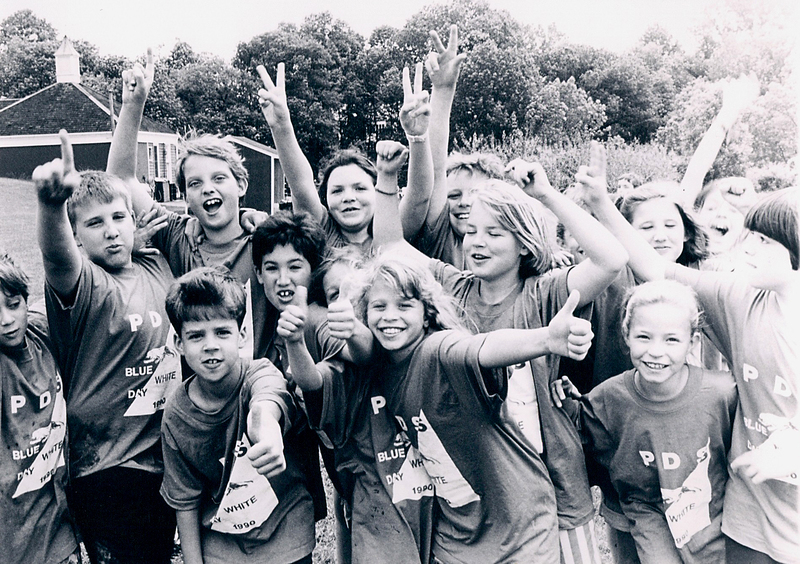 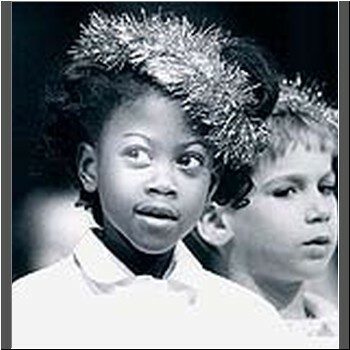 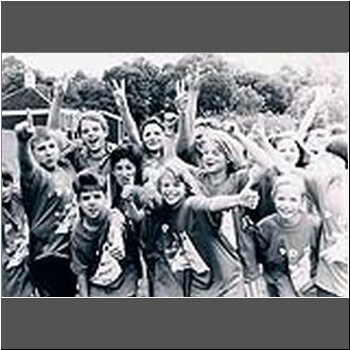 PDS 269 Students in character for a 1990s dramatic production. 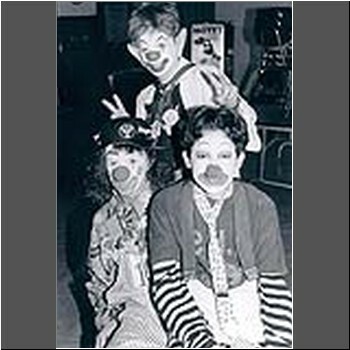 PDS 274 These middle schoolers learn the fine art of clowning during Mini Course Week.